Forget flying to New York City for a Broadway show. Sharon Dobbins Alberson has brought high caliber musicals to Northeast, Ohio. 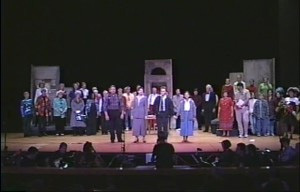 Alberson's musicals contain positive messages, are shown at various churches throughout the area, and all proceeds are given back to the community. The inspiration for writing such gifted musicals must come from somewhere. Alberson's life is rich, full of stories of vibrant experiences intertwined with religion, history, ethics and divine connections. As an ordained minister in the United Church of Christ, many of her musical inspirations come from Biblical themes. The titles of her 7 musicals include: The Law of Love, Found and Forgiven, A Star for Freedom, The Trial of Job, Forever Love, The Chaplain and The Peace Table. "I never really set out to be a musical writer," she shared. Born and raised in Akron, Alberson grew up in a minister's home. Her father, Richard Dobbins, was the Founder and Director of Emerge Ministries, and Founder of Evangel Temple, now Celebration Church. At age 17 Alberson enrolled at Evangel College. After a year she decided that she didn't want to be in college and spent a year as a missionary intern in Brussels, Belgium. "All of these early things were very formative," she shared, "Missions and ministering have always been part of the soil that I grew up in." At 18 she came back to Akron, enrolled in college again and got married shortly after. "He seemed to be a very nice man. (We were) married for 5 years, I put him through law school and worked in a law office as a legal secretary," she shared. Alberson dropped out of college, putting her dreams aside, and that is when she received shocking news from her husband. "He came out as gay," she said. As her marriage came to a sudden halt, so did her health. She ended up having open heart surgery and nearly died from the blood transfusion. "I had a lot of stuff happen to me early on that greatly impacted my psyche, which gave birth later on to the music. You think all of that stuff lays dormant and isn't going anywhere, but there's a thing in philosophy called 'dynamic retrieval', seeds of the past emerge much later on to give birth to creative things," she shared. "The music didn't come from nowhere," Alberson said. During this time she was shaken emotionally and spiritually. "It was a lot in a short period of time, but if it's not going to kill you it's going to make you stronger. I'm older now, seasoned," she said. "Everyone has their raw moments and when you're young you don't know where they're leading, but God has a lot in store. (He's) just planting. I can look back, smile and say 'just planting'," she laughed. Though life came at her fast, Alberson wasn't about to give up. At age 26 she graduated from Kent State University's Music School, and many opportunities came knocking at her door following graduation. "I had a lot of opportunities to go on to graduate school but I was working at a law office and convinced by the lawyers around me that going to law school was a much better prospect than getting a graduate degree in music. I wanted to be economically independent. This was in the 70's and 80's and I was raised in a very conservative environment," she said. "In my day and age you went to Christian college, sang alto and you married a preacher. That was the path," she continued. "Well, I went the path but took a detour." At this point, she broke all the expected "rules" of society. Instead of settling down, she was just getting started. She got a job singing at a Lutheran church and taught confirmation class, all as a recent divorcee. "Being involved in an evangelical Lutheran church was fantastic. There were no pre-judgments on my divorce status. 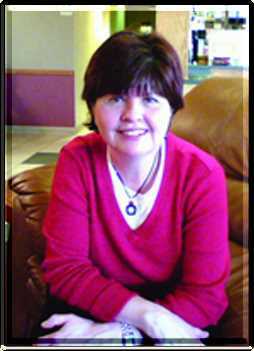 I found a great place to be a Christian and I think that really began my journey into ecumenical circles," she said. At the same time she was attending law school and working in downtown Akron for a law firm. "I was exposed to a lot of stuff that took advantage of the loopholes so I said 'I don't want to do this for the rest of my life'. I was assessing my own experience," she shared. While uneasy about her job at the law firm, a new opportunity presented itself. One day while singing at a church in Kent a guest speaker arrived. "I believe in divine encounters. I believe that God has divine appointments all the time. The Holy Spirit sets up these encounters that really take us beyond our comfort zone and into faith journeys that we would not have the imagination for," she said. This is a theme she weaves into her musicals. "The man preached a sermon on Isaiah Chapter 32 on the bruised reed, and I was a bruised reed and flickering light. It was so powerful that I just felt the Holy Spirit (in me) say 'I want to do that'." She found out that the speaker was from Yale Divinity School. 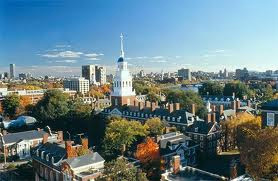 This spurred her interest, so she went to the public library and looked up Yale, Harvard and Princeton. "I was in my second year of law school, so this made no sense. The lady at law school said 'What are you doing? You can't be involved in two professional schools at one time.' I said 'Well I am. I plan on doing it'." Alberson applied to Harvard and Yale and got accepted into both. "I just had a deep down intuition," she said, of what she was supposed to do. 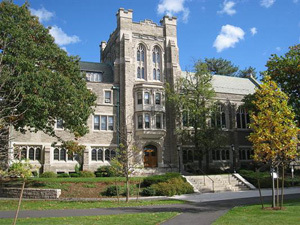 In the summer of 1984 she took Greek at Harvard and lived in Divinity Hall where Ralph Waldo Emerson delivered the Divinity School Address. "It had a lot of history," she said. Her interests in law, religion and the arts continued to grow. It was at Harvard that she met a man who would forever change her life. James Luther Adams was 80 years old and spent his entire life in the area of law, religion and the arts. He was a Universalist minister but came from a Fundamentalist minister's home. "He made a great bridge between the evangelicals and liberals at Harvard Divinity School," Alberson said. She ended up working as his assistant. "He had a tremendous impact on me. I find God always moves beyond labels. He's not interested in labels. God is interested in hearts," she said. Her father, a very devout Christian, was furious, she says. "He thought I was going to lose my salvation. It wasn't easy. My mother was torn up. It was like 'What are you doing?' You're already a lawyer; you're throwing your life away on some stupid thing.' So it wasn't an easy thing to do, but I got loans, grants, scholarships and a couple of jobs," she said. She knew what she wanted, was dedicated and worked hard to go after it. Then, the inspiration and relationships she formed at Harvard propelled her in a new direction - Oxford, England. "Whenever the Holy Spirit is involved in something it's a phenomenal story. If you look at the Book of Acts it's phenomenal," she said with excitement. Alberson was accepted into the oldest college at Oxford University, chartered in 1264. "I found a place I could go and write a thesis in a year and got it published in the Journal of Law and Religion," she said of her accomplishment. It was there that she was captivated by the beauty and structure of the place. "There are a lot of walls and the only way you really get to see the beauty is if you go inside the walls to the gardens. There are 39 colleges behind the walls in the town of Oxford," she shared. "It's a unified umbrella of all of these colleges that were founded at different times." She described them as medieval inspired "learning communities". "It was like a living Harry Potter. I believe that was filmed at Christ Church College," she said. In the spring, just before the defense of her thesis, she walked into a McDonalds expecting nothing but a hamburger, fries and coke… but left with much more. "I sat at a table upstairs and a cleaning lady sat a gentleman right across from me," she said, 'He was trying to have a conversation with me and I wasn't having it. I had my heart broken after my marriage and got involved in a relationship that was going nowhere and my mom was praying 'Please let it go nowhere'," she shared. "So I have this guy sitting across from me, and I wasn't having men at that time in my life, but he was so funny and nice," she continued. He asked her questions about why she was in Oxford, what she was studying, and before long she began to open up a little more. He wanted to stay in touch, so she gave him her school address. They wrote letters back and forth and he shared his faith with her. Before long she visited him in Connecticut and met his parents. Two weeks later her mother was diagnosed with terminal cancer. "Another shaking, unearthing," Alberson recalls. Ramsey, the man she was dating, came to the hospital to visit. Her mother reached out her hand to him and said "I want you to know you are an answer to my prayer." A year later, they got married. "This is the funny thing about God. I was all about getting my independence and forging my own career," Alberson said of her marriage. During this time her father had a heart attack, which led her home to care for her parents. Soon after her marriage, she moved to Connecticut with her husband. "I didn't have a license to practice law there, so it was like I was starting from scratch," she said. She ended up teaching a course at a local college titled "Evil and Good in History and Literature" with a professor who survived the Holocaust. Not long after, her mother passed away and she was without a job. "God was teaching me the lessons I was going to write about in my musicals and I didn't see it, because I never wanted to write a musical. I was a good vocalist and pianist, but writing musicals was not on the radar," she said. Make sure not to miss Part Two next week! 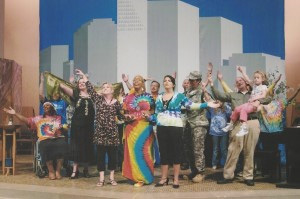 If you would like to find out more about Faith Musicals please visit www.faith-musicals.com.